Hay I remembered how to blog! Alright it's been up and running for about a month. I really wish I had a window in this house appropriate for such a setup. Grow lights, sort of work, It's light that helps the plants grow but it's not a complete spectrum. Having a red light or heat lamp might help this and keep the plants warm but I can't do that just yet. Up top, seedlings are growing nicely. The glass bowel is there to quiet the dull sound of water. It's not annoying, even without the bowl, it's just I'd prefer it not to make any noise at all. The bowl is also there to hopefully catch baby fish should they become part of the filtering system. I've since lowered the lights too. Two metal coat hangers did the trick. I tied the lights to them too for added security. 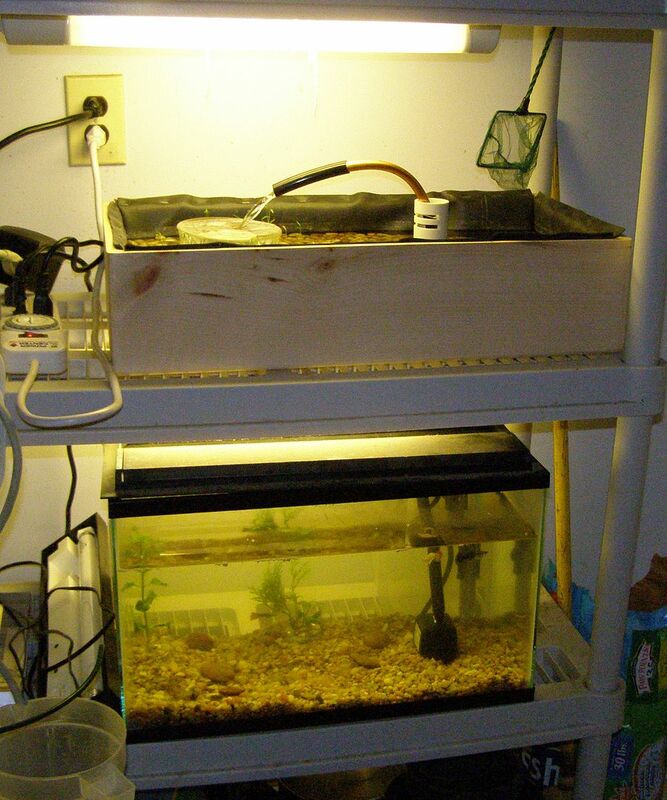 I see in gardening catalogs all the time these expensive setups, with shelves and lights you hang off of chains. You probably don't need to be paying $150 for that. Grow lights, especially when they're covered, don't get that hot. I could get away with rope if I wanted to instead of the hanger. Down below, the fish are fine. Mostly everything is unchanged. The females are defiantly pregnant! I don't know how long they take to bare young but they're ready to explode. I've added a few more plants to give the little ones someplace to hide when they arrive. Hopefully all the ammonia, bacteria, and such will balance out. I'm told though that there's no such thing as a perfect setup. Meaning one that requires no care at all. Thanks for sharing this informative blog. 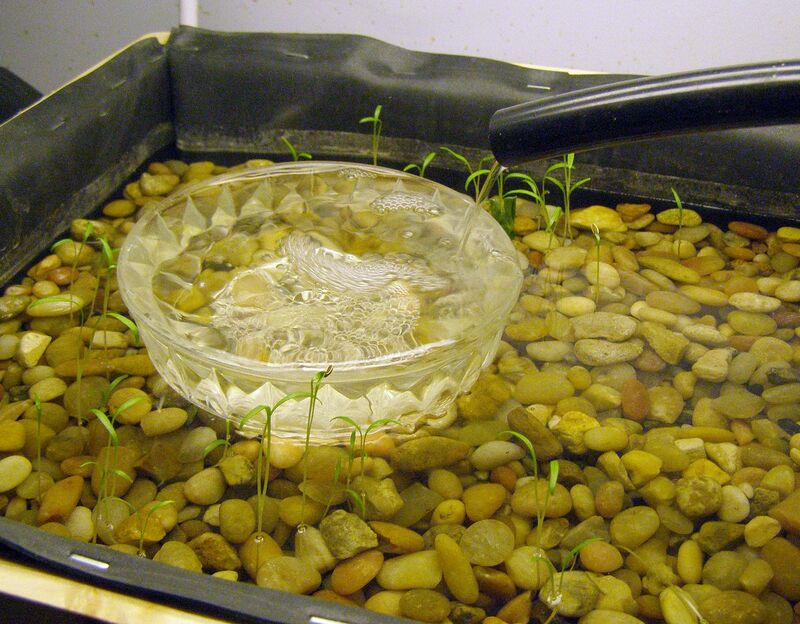 Hydroponics are being used for the proper growth of plants. Metal halide grow lights south Africa is one of the professional grow lights service providers. "Wow You Must Have a Big Yard"
Are! It be the White Squirrel!